While visiting the area, be sure to carve out some time to spend time at Herrington Manor State Park, which spans 365 acres and offers a variety of outdoor activities all year long. Herrington Manor State Park, MD is about 10 miles from Lake Pointe Inn, allowing for a beautiful 20-minute drive along country roads. The park was first developed in the 1930s when the Civilian Conservation Corps dammed Herrington Creek to form a 53-acre lake. Ten cabins were built above the lake, offering a quiet, picturesque place to get away from it all. In the 1960s, it became part of the Maryland State Park System. The park, located within Garrett State Forest, now spans 365 acres and includes 20 full-service cabins. Four distinct seasons in this part of the country allow you to experience every activity Herrington Manor State Park has to offer throughout the year, including swimming, kayaking, canoeing, hiking, biking, tennis, volleyball, snowshoeing and and cross-country skiing, as well as numerous interpretive programs. Explore Herrington Manor’s 53-acre lake by boat, canoe or kayak. Electric boat rentals begin in mid-April and run through October. Canoe and kayak rentals are available Memorial Day through Labor Day. Like to keep it simple? Head to the Lake House where there is a beach and a designated swimming area. Excellent fishing is available at Herrington Manor. The lake is stocked several times a year with large and small mouth bass, catfish, several species of pan fish, and brown and rainbow trout. If you don’t already have a freshwater fishing license in Maryland, be sure to stop by the park office to purchase one. Enjoy fishing from a canoe, the shoreline or the fishing pier. If you didn’t happen to bring your own fishing equipment, several tackle shops in the area have a vast selection. Hiking and mountain biking are popular spring through fall, and Herrington Manor offers a 5 ½ mile trail that’s perfect for beginners or those who want a leisurely outing. The trail follows an old logging road, crosses a few streams and connects to Swallow Falls State Park. Herrington Manor State Park offers 10 miles of color coded ski trails to explore. Forgot your equipment? No problem. 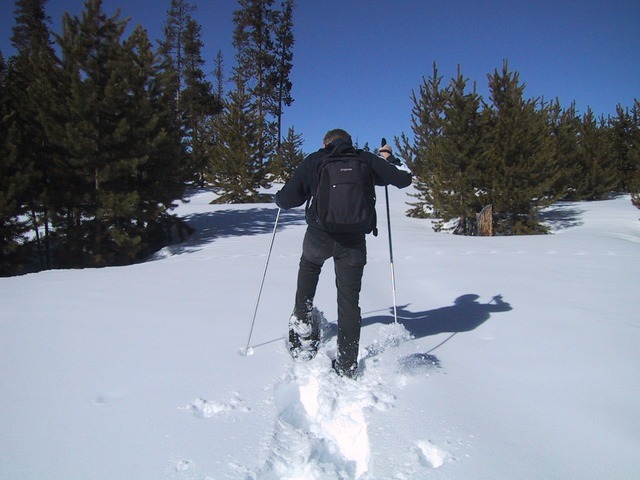 Ski and snow shoe rentals are available at the Harrington Manor’s Lake House and park office. Check the park’s event calendar for special programs, including demonstrations by local experts on how to make apple butter and maple syrup. Watch, learn, taste and buy products on the spot to enjoy when you return home. In addition to the various designated picnic areas within Herrington Manor State Park, there are many scenic places to stop while you are hiking, biking or cross country skiing. Concessions and restrooms are also available for your convenience. The park is open 8 a.m. until sunset March through October and 10 a.m. to sunset November through February. Admission is $3 per vehicle per day Memorial Day to Labor Day and $2 per vehicle per day. Out-of-state residents add $2 to all day use service charges. No matter what time of year you visit, Lake Pointe Inn offers an ideal setting for a getaway. Lake Pointe Inn’s convenient location make it easy for you to amble along country roads, visit nearby state parks, such as Herrington Manor, or simply relax by the fire. Our McHenry, Md., bed and breakfast overlooks Deep Creek Lake and offers comfortable seven guest rooms and three suites, as well as a full hot breakfast each morning.